You are here: Home / News and Events / Catch up with Angelo DeLeo, a GW Undergraduate Research Awardee! 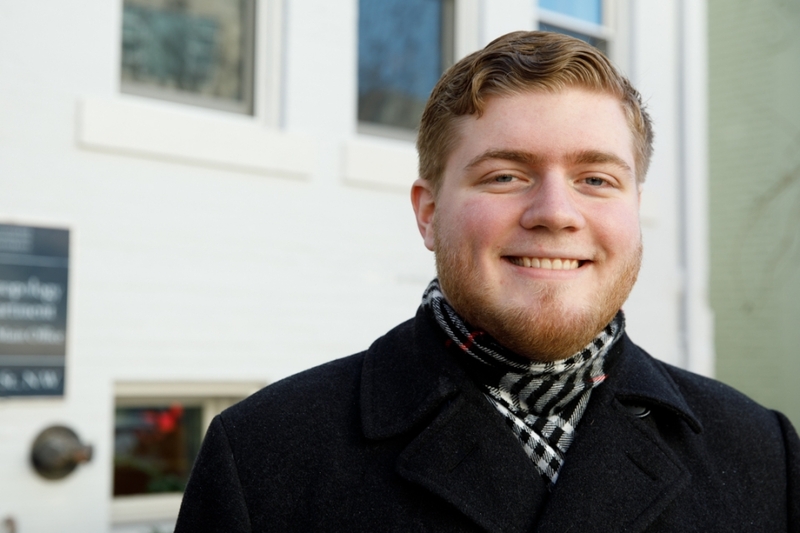 A junior at GW, Angelo has recently been featured in GW Today! A native of Jessup, PA, Angelo has taken full advantage of the undergraduate fellowship opportunities offered at GW. Angelo is pursuing a double major of anthropology and international affairs and works under Alex Dent, Associate Professor of Anthropology. His comparative study of festivals in Jessup, PA and Gubbio, Italy is preparing him for his future study in linguistics and sociocultural anthropology.